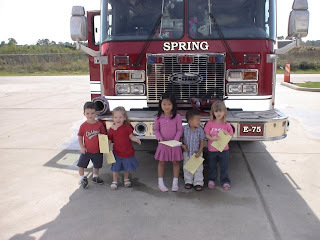 For playgroup this week, we visited a local fire station, and I think I was more excited than most of the kids. It was just so cool to see all the gear up and close. 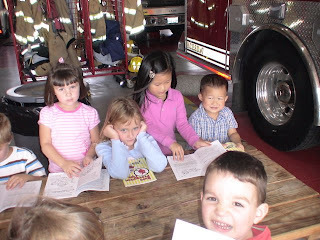 Samantha was ready for the "real" playgroup after we were done visiting. I just consider my kids to be lucky to have this kind of experience here in the States, when in Taiwan, it's not even allowed to have female firefighters.